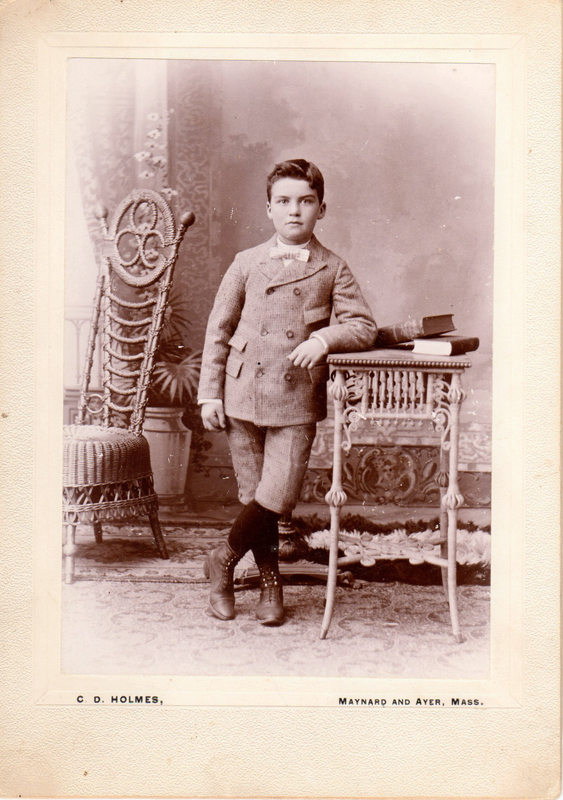 This is a cabinet card photographed by C. D. Holmes, a long time Maynard photographer. The boy seems to be 10 -12 years old. C. D. Holmes, Maynard and Ayer, Mass. Photo print mounted on a cardboard backing. 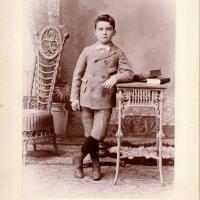 C. D. Holmes, Maynard and Ayer, Mass., “Unidentified Young Boy - ca.1890,” Maynard Historical Society Archives, accessed April 23, 2019, http://collection.maynardhistory.org/items/show/5978.